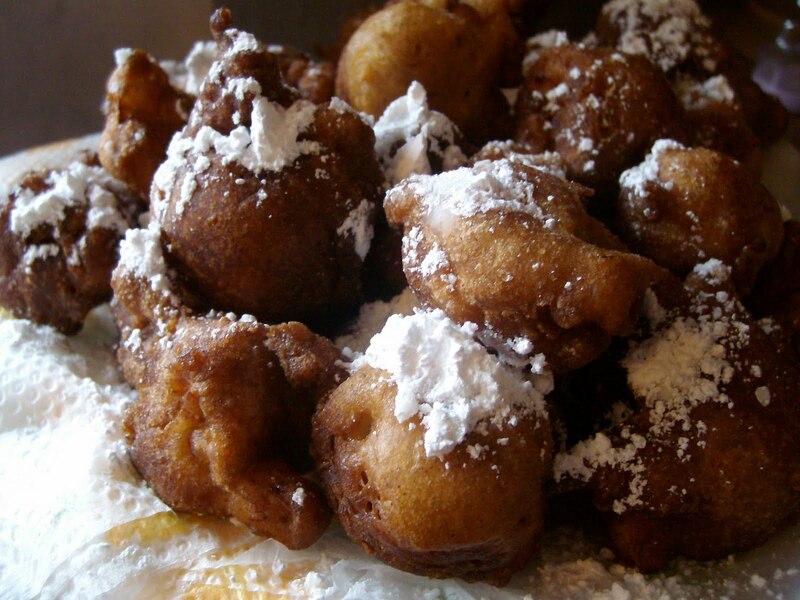 What better thing to do on a Sunday morning than make apple fritters? I couldn’t think of anything better this morning so that’s exactly what I did. They were delicious and I highly suggest you take a stab at it. They’re so easy and the recipe makes a million of them! I got them on The Pioneer Woman, she has step by step instructions. I made them according to the recipe except I didn’t make the glaze. PASTA! PASTA! PASTA! (read: CARBS! CARBS! CARBS!) I saw an amazing recipe for pasta on The Pioneer Woman. It inspired me to take my own pasta adventure. I don’t think I’ve seen my city boy have that many helpings of dinner in all the time we’ve been together. I’m going to be honest, I did cheat a little and buy a loaf of bread from Homeland that already had garlic butter smeared inside. One of those, stick it the oven for 5 minutes, cheats. It was well worth it! I saved myself time and frustration and was rewarded with the perfect addition to my pasta dinner. This dish doesn’t have a name as far as I know. I think I will call it Chicken Bacon Mushroom Linguine. 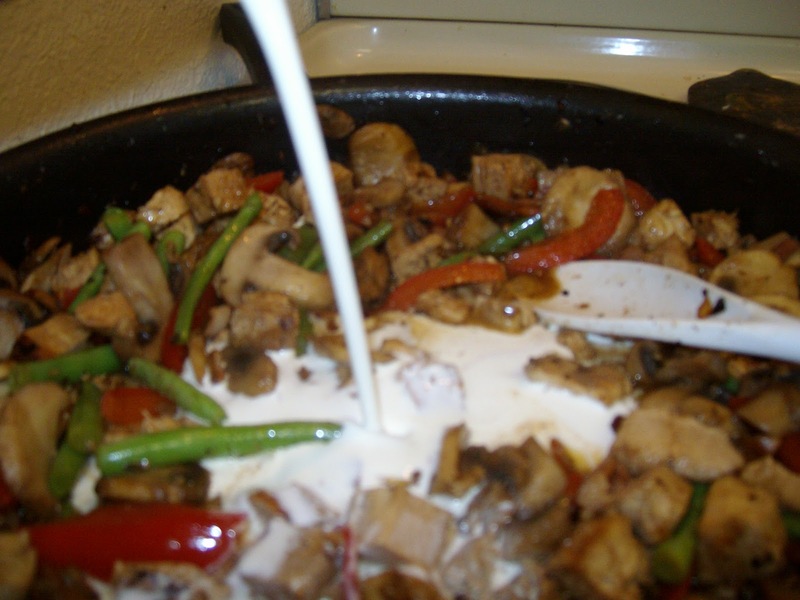 Add enitre container of mushrooms, sliced red bell pepper, and green beans (I used a handfull of the fresh green beans, the ones that you snap) to skillet along with the white cooking wine. (Don’t for get to add the pasta to your boiling pot of water.) 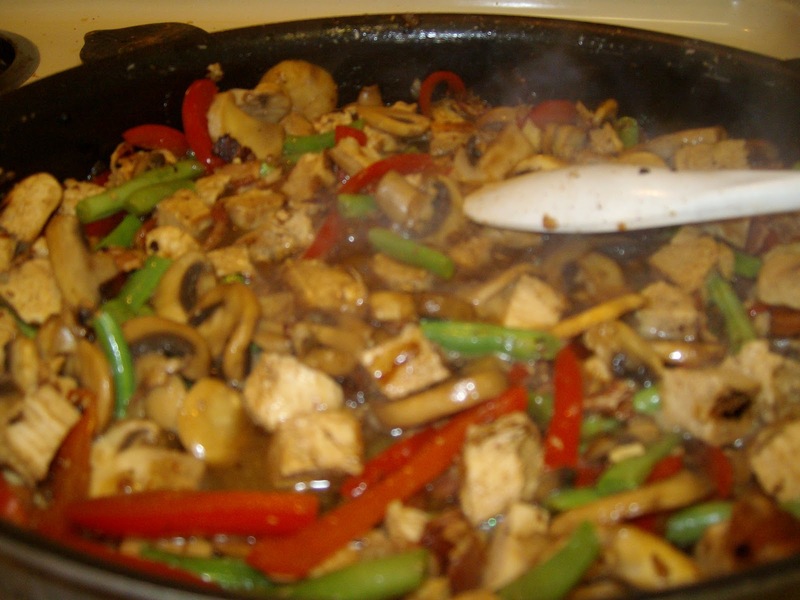 Let simmer until mushrooms are golden and glazed. Stir in half & half and Parmesan, stirring frequently until sauce thickens to desired consistency. (Once pasta is tender, drain water!) Pour contents of skillet into pot of pasta and toss together. Garnish with more shredded Parmesan and enjoy! *Disclaimer* I never once said this was healthy! Supper: A meal taken at the close of the day; the evening meal. PASTA! PASTA! PASTA! (read: CARBS! CARBS! CARBS!) I saw an amazing recipe for pasta on The Pioneer Woman. It inspired me to take my own pasta adventure. I don’t think I’ve seen my guy have that many helpings of dinner in all the time we’ve been together. I’m going to be honest, I did cheat a little and buy a loaf of bread from Homeland that already had garlic butter smeared inside. One of those, stick it the oven for 5 minutes, cheats. It was well worth it! I saved myself time and frustration and was rewarded with the perfect addition to my pasta dinner. This dish doesn’t have a name as far as I know. 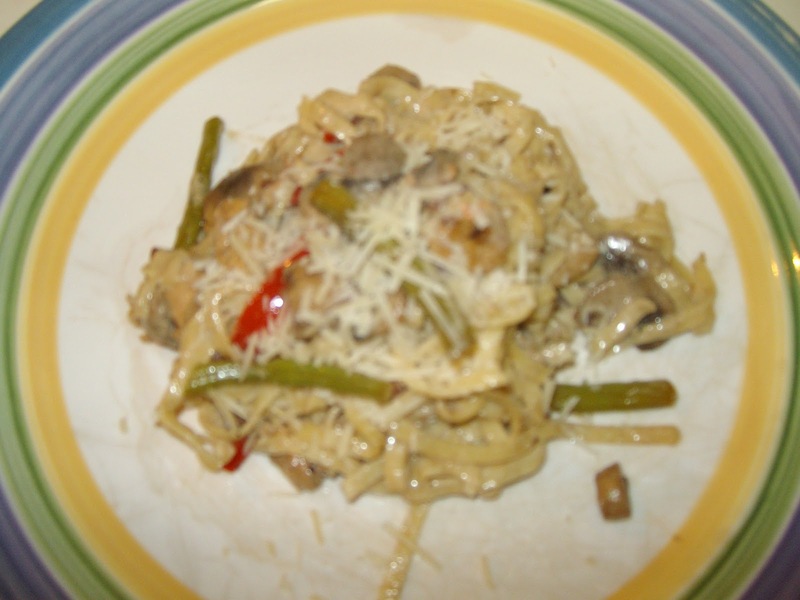 I think I will call it Chicken Bacon Mushroom Linguine. 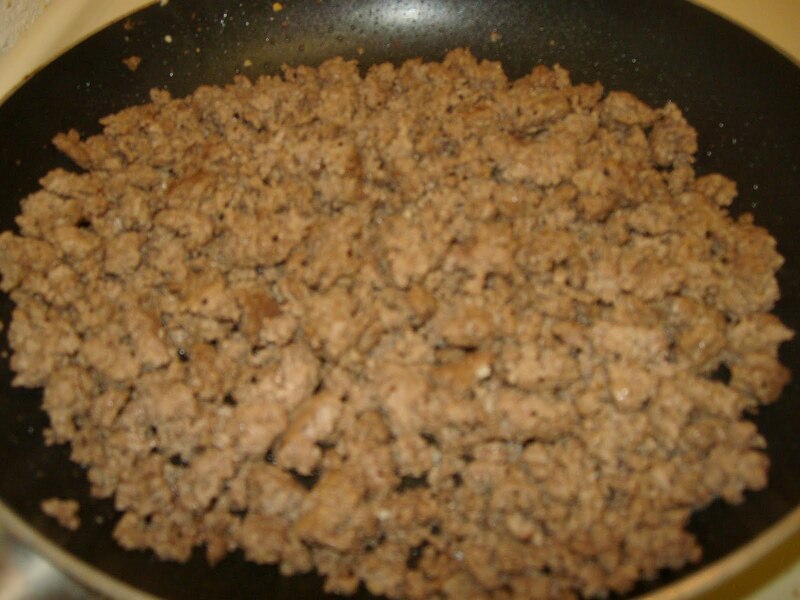 Ground turkey is something I keep in the freezer at all times. Tonight, for example, I made spaghetti and meatballs. Everyone has their way of making thier favorite meatball and I’m no different. I start with 1 lb of ground turkey and usually add an egg (or two), some Italian breads crumbs, a little minced garlic, a dash or two of parmesan cheese, and salt and pepper. I get it to the consistency most conducive for meatballs and plop them in a pan and bake at 375 degrees. (I have also switched to whole wheat pasta, it’s delicious!) Other uses are chili (I’ll post this recipe at another time. 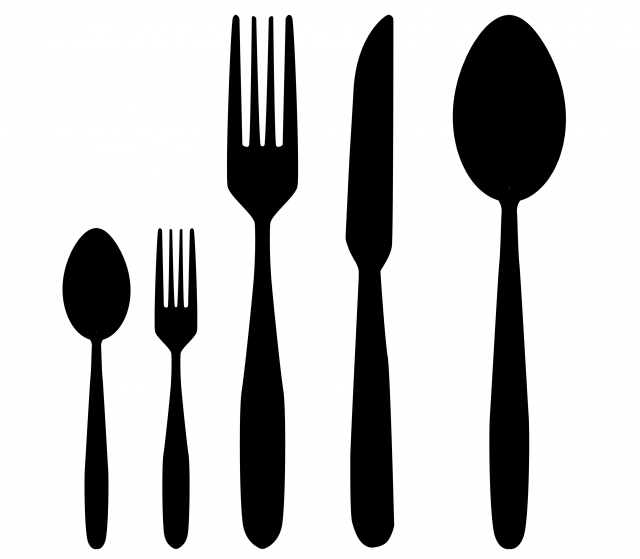 ), meatloaf, tacos, stuffed green peppers, and so many more! If you haven’t tried the marinated turkey tenderloins, they’re a must! I’ve tried the dijon mustard marinade and it was so easy. The directions are on the package and tenderloins will cost you around $6 at your local supermarket. Whip up a few sides and dinner is done! This is definitely one of the easiest things to make! How does “Turkey for brekfast” make you feel? It made me feel weird, I figured it would taste like “diet food”. Much to my surprise I absolutely love turkey for breakfast! 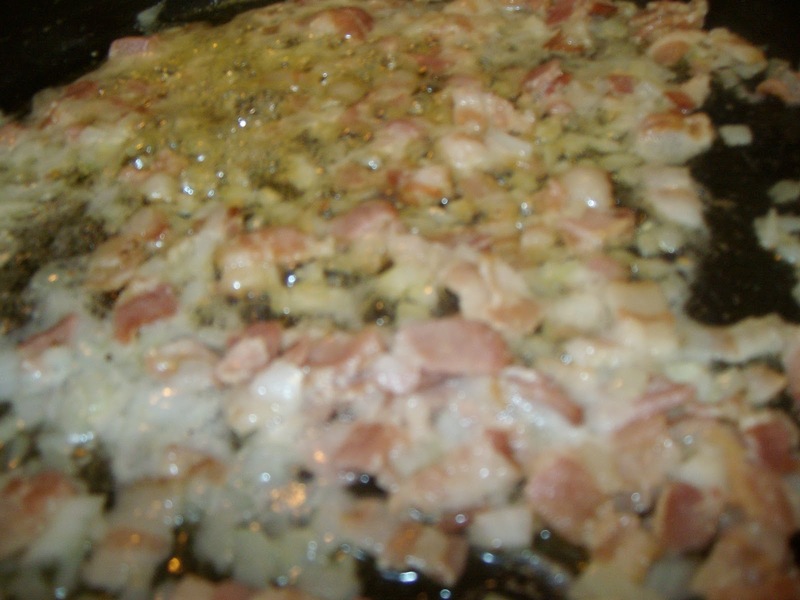 I have used the turkey bacon for normal bacon and eggs type of meals and also on a BLT. Now for the man’s favorite; the sausage links. My man loves sausage links and I bought some that are fully cooked. All he has to do in the morning is pop it in the microwave for 30 seconds and he has hot sausage to go with his scrambled eggs. As you can see there are so many turkey products in your local grocers’ freezers. Don’t be afraid of it! Now, for your entertainment, i had to include the Thanksgiving Song by Adam Sandler. Any excuse to play the Thanksgiving Song is a good excuse to me! Today was cold, snowy, and wet. The kind of weather that gets rush hour drivers frustrated. 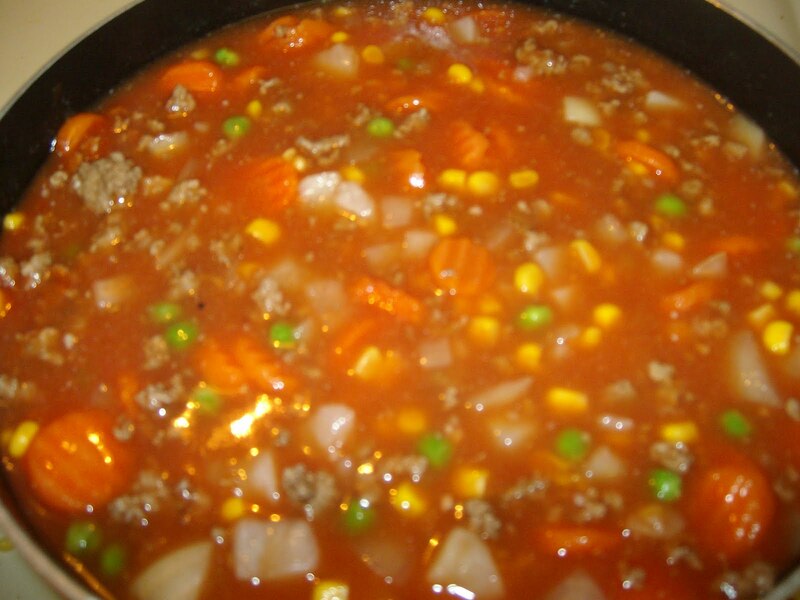 What better supper to come home to than a delicious bowl of steaming hamburger soup? Tonight that’s what I made! This recipe has been passed down and somewhat edited each time it’s been prepared. It’s an “eyeball it” type of recipe that you can tailor to your liking. Peel, rince, and cube potatoes. 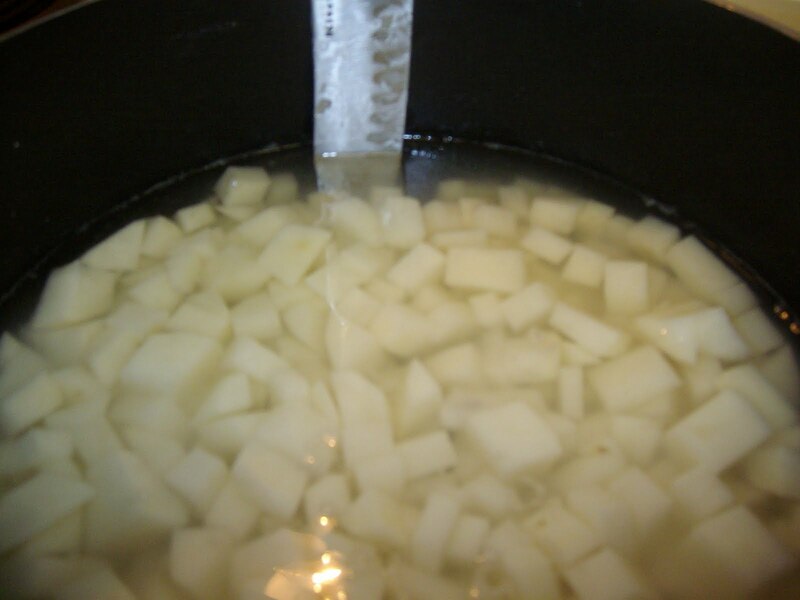 Place potatoes in stock pot and add water (just enough to cover potatoes completely) and boil until tender. While potatoes are boiling brown and drain ground beef, season with salt, pepper, and minced garlic. 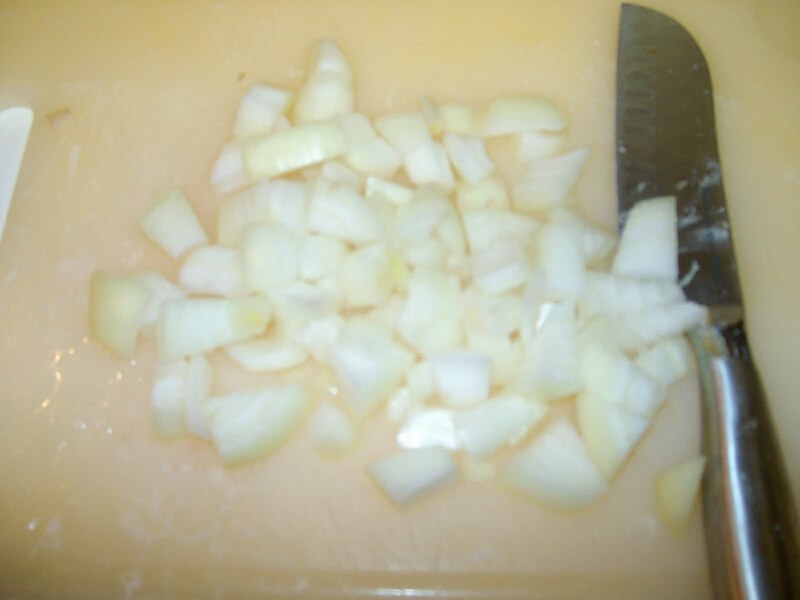 Chop onion uniformly. 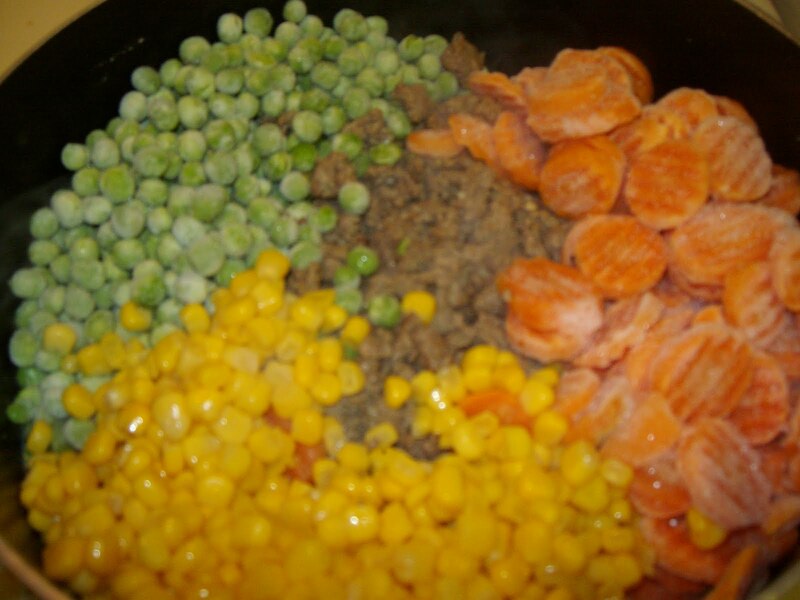 Once potatoes are tender, leaving water in stock pot, add chopped onion, peas, carrot, corn, and ground beef. Stir in tomato sauce and add water for desired consistency ( I added about 8 oz). 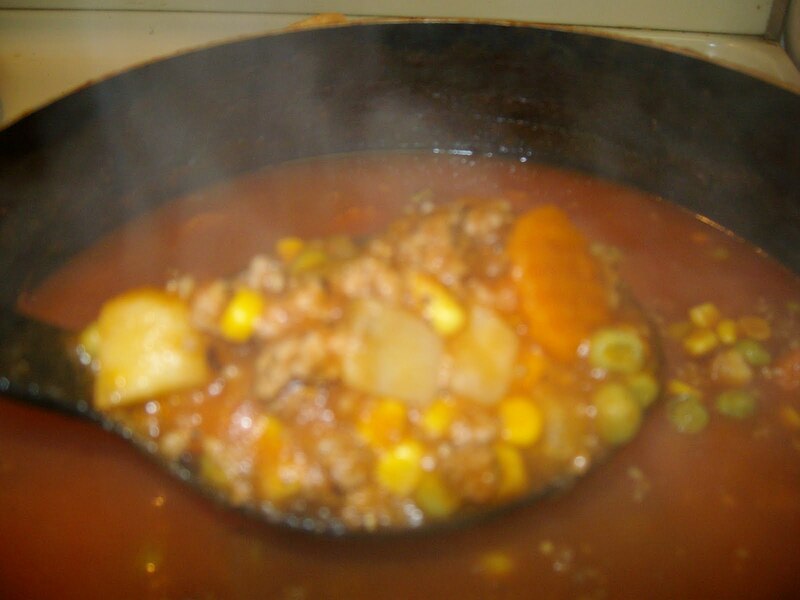 Once all ingredients are mixed in well, cover and let simmer on medium/low for 45-60 minutes. Stir occasionally to avoid scorching. Add salt and pepper to taste. Serve hot with crumbled saltine crackers and enjoy!